Each of our rooms in the hotel is tastefully decorated and are en suite. 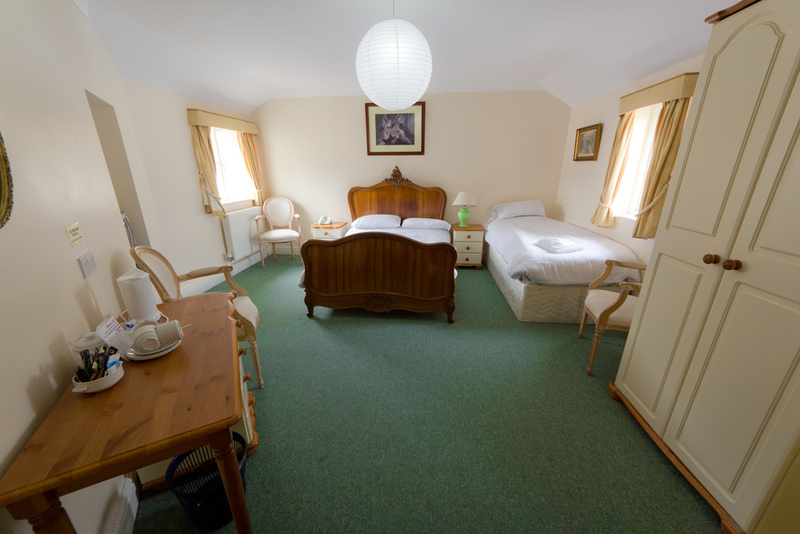 We offer a range of single, twin, double and family rooms. 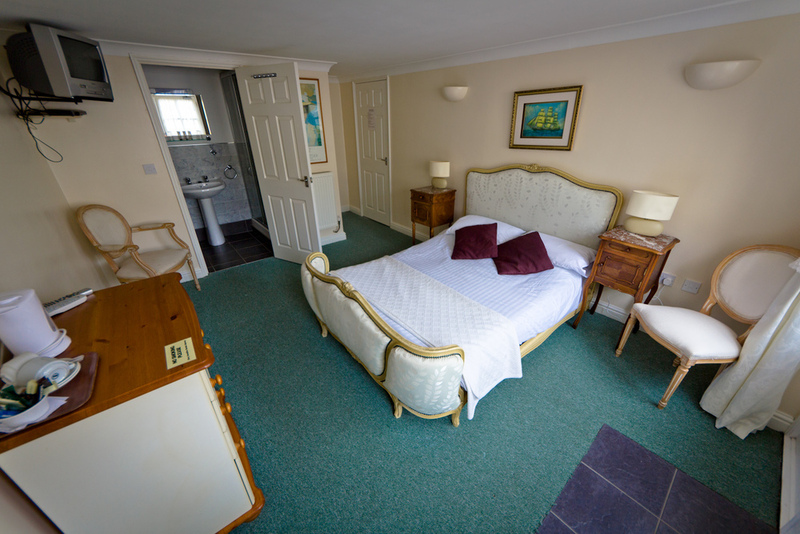 In your room you will also find tea and coffee making facilities, a mini-fridge and a TV with Freeview. Room Two, pictured above, is our most luxurious room. It offers more space and furniture which is even finer than those found in our other rooms. For longer stays or group bookings, please contact us. As can be imagined with a building of this age, there is a resident ghost or two! Previous owners of the Hotel have had their own tales to tell, and particularly one story keeps reocurring, that of someone constantly walking the upstairs corridor towards the rear of the hotel late at night. It could be that one of the previous owners, also in the funeral trade, used part of the hotel as a Chapel of Rest unbeknown to his hotel guests at the time. 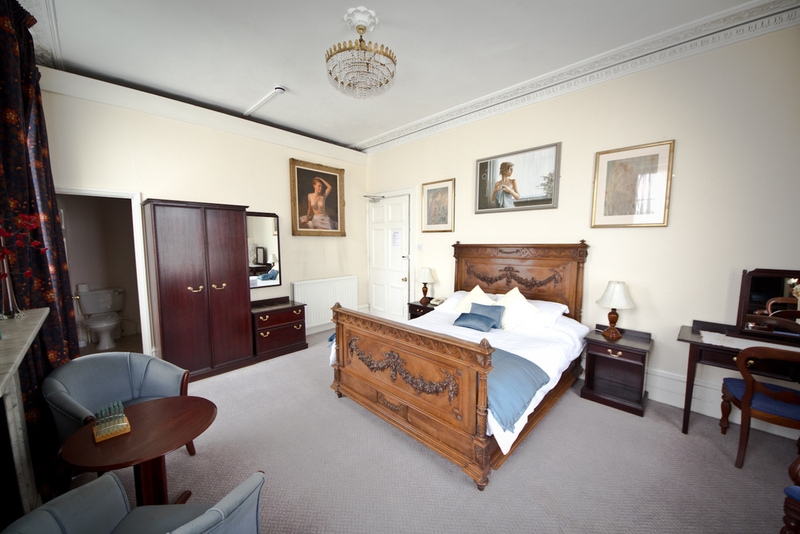 Have a look at some of our rooms in the gallery below.